Experts raise alarm over water scarcity in Balochistan where droughts and a drop in sea levels causes an alarming situation. The lack of inclusion of local voices, water mismanagement and the poor response by the government are leaving the people of Balochistan out and represent another form of discrimination. If no solutions are found and implemented soon, the province could run out of water for the next generations. 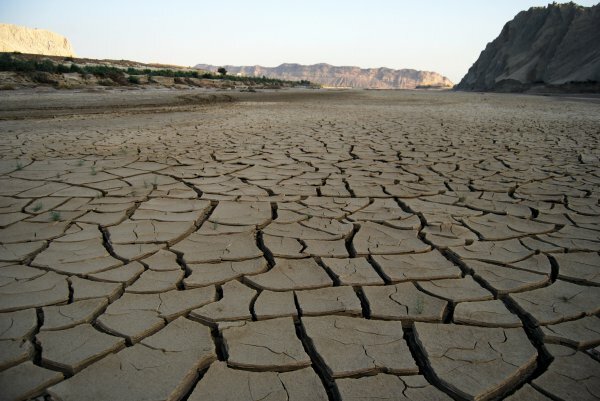 Drought and a sharp drop in sea level are posing a serious threat in Balochistan. Experts have warned that if dams are not built and ground water recharged, the province will turn into a desert. A half century ago, water could be seen flowing in the streams and coasts of the province. Water could be found upon digging a mere 20 feet to 25 feet into the ground. However, the situation is very different now. The government installed a large number of tube wells but did not build any dams nor take action against illegal drilling. Currently, over 6,000 tube wells are lifting water from districts across the province. In addition to this, drought and an increase in population have exacerbated the problem of water scarcity. Drought coupled with a drop of 2,000 feet in sea level has destroyed agricultural lands across the province. Meanwhile, residents of Quetta and Gwadar do not even have water to drink. Experts have issued warning bells that due to a drop in seawater level, the land on which Quetta lies is sinking in by 10 centimetres. According to the Quetta Water and Sanitation Authority (QWASA), the city has a daily demand of 50 million gallons of water. However, the authority is only able to supply 30 million gallons of water leaving a shortage of 20 million gallons of water daily. The authority has installed around 417 tube wells in the provincial capital of which 100 are not functional. “To address the issue of water scarcity, work is underway at Mangi Dam located in Ziarat,” a QWASA official said. Further, experts claim that there’s not enough water in the province for the next generations. “To stop people migrating from the province due to water shortage, government should device a contingent water policy along with building dams and recharging underground water,” the experts advised.